Take a retro luxury camping trip to this vintage Airstream, circa 1964, in the heart of Paso Robles Wine Country in Central California. 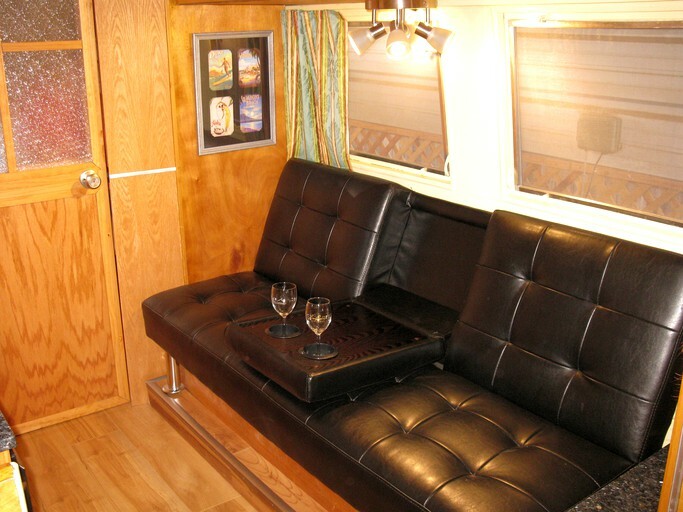 This unique camping accommodation in California's Wine Country has one double-size bed with a memory foam mattress. 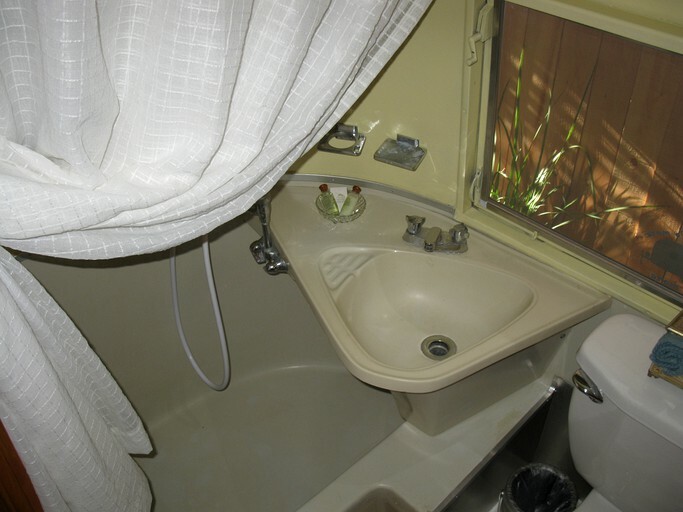 The kitchenette has a refrigerator, a microwave, and a coffeemaker, and the bathroom comes complete with a shower, a toilet, a sink, and complimentary toiletries. 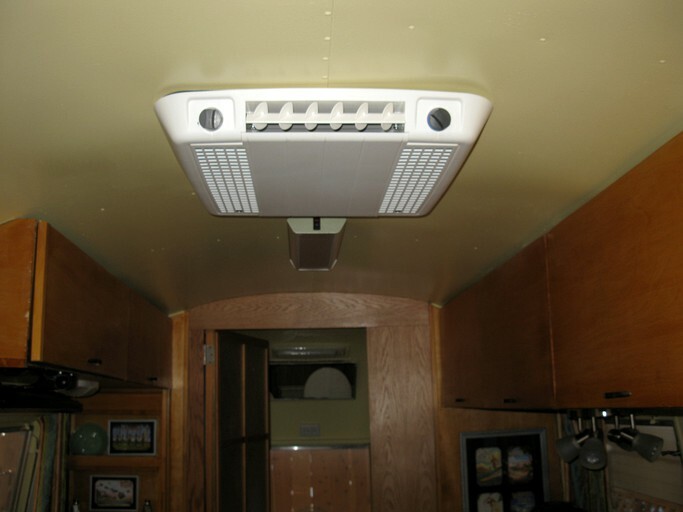 There is a television that is suspended above the kitchenette and can be pulled down and swiveled to find the best viewing position within the Airstream; it comes with a Blu-Ray, DVD, and CD player, too. The Airstream is located on the eastern side of the property. 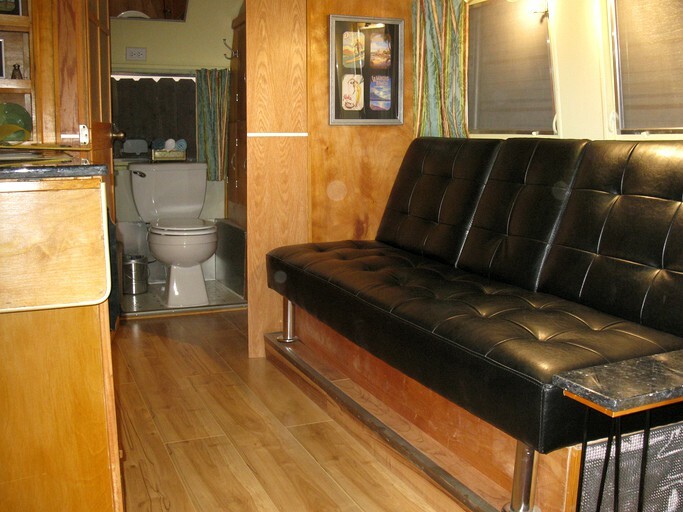 There is a large closed gate that crosses the driveway to the Airstream, and guests can park in front of the gate. 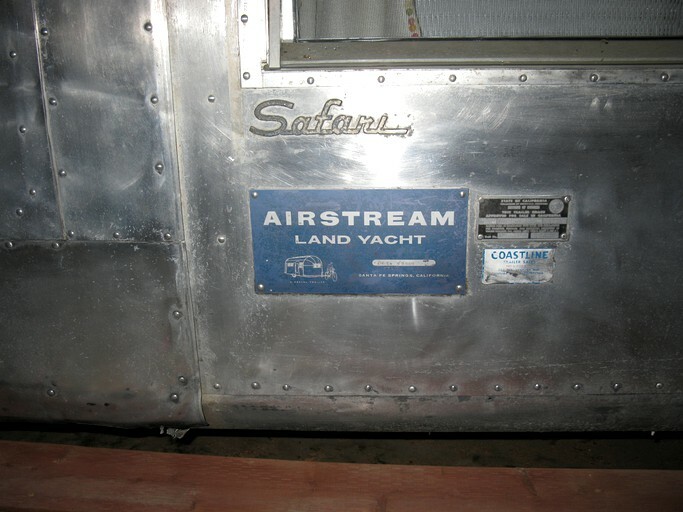 This particular Airstream is a 1964 Safari, a 22-foot trailer, and it is permanently connected to water, electricity, and sewer lines, thus it cannot be moved. Coffee, tea, bottled water, microwave popcorn, fresh fruit, and freshly baked cookies are provided. There are extra blankets and pillows, and basic toiletries (soap, shampoo, and paper goods) are included. The hosts of this glamping property can organize the following for guests, upon request: a continental breakfast, an afternoon appetizer, and winery tours. This glamping property is located halfway between San Francisco and Los Angeles in Paso Robles, California. Only one and a half to two hours away from this city are a few other, large, Californian cities, such as Fresno, Monterey, Salinas, and Santa Cruz. Known for its hot springs, mud baths, and wineries, Paso Robles has all the makings of an ideal glamping destination. Oenophiles should try to plan a trip around March for the city's Zinfandel Festival or October for the Harvest Wine Weekend. Ocean lovers can take a quick jaunt to the coast to partake in all the beach has to offer, including water sports of all kinds. The rolling hills of Paso Robles provide great hiking and biking areas for glampers aching to get their legs moving while discovering Central California. Only a few minutes from the city center, glampers can go for a shopping trip, a spa treatment, or a dinner out, once guests have had enough time exploring the great outdoors. There are a lot of great events always going on in Paso Robles, too, like Art After Dark Paso, wine pairing workshops, holiday craft bazaars, and more. The hosts ask that guests arrive anytime after 3 p.m. If an earlier check-in is needed, please inquire with the host to see if this is possible, as it must be arranged prior to arrival. Check-out is anytime before 11 a.m. Again, if a later check-out time is required, please inquire with the hosts and arrange this prior to arrival.